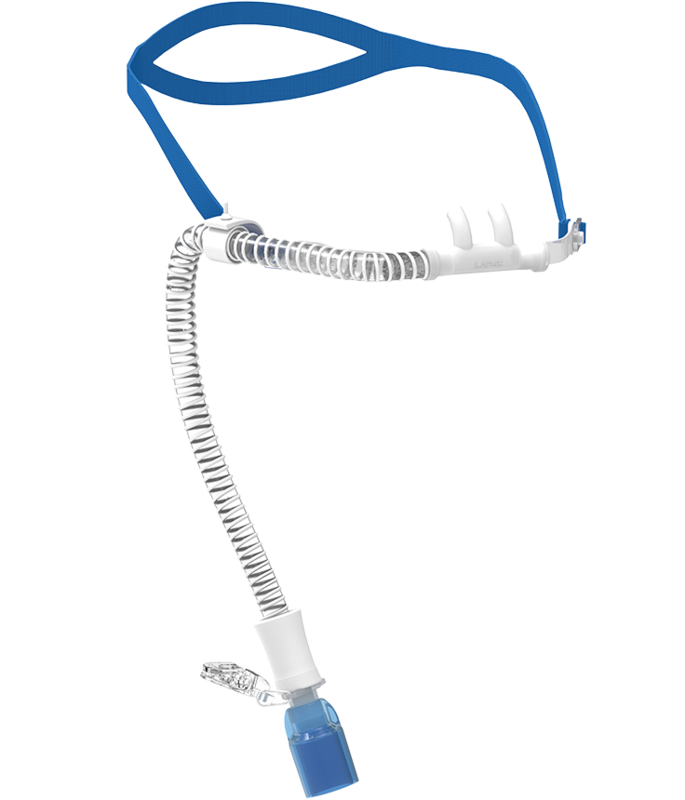 Veoflo® High Flow Nasal Cannula is the comfortable choice for effective High Flow Oxygen Therapy (HFOT). 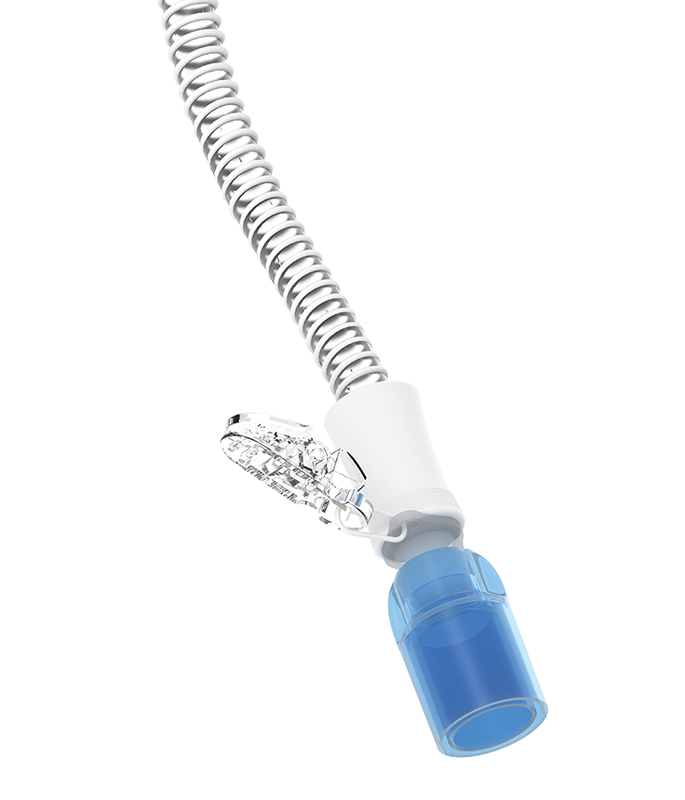 Veoflo High Flow Nasal Cannula delivers warmed and humidified gas, providing versatility to meet the patient’s changing condition. 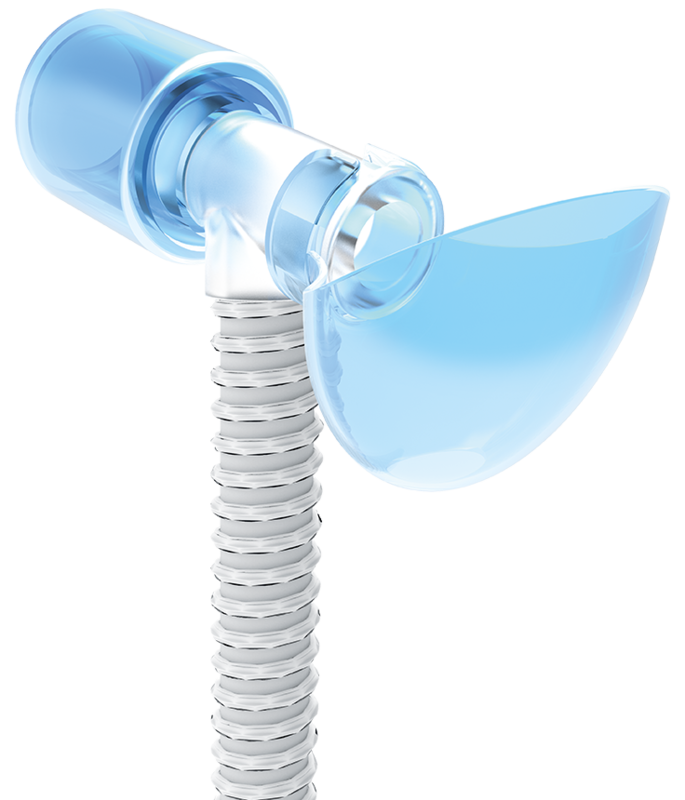 Comfortable and well tolerated silicone prongs aid patient compliance. Wings on the swivel connector for easy connection and disconnection. Fully metal-free making Veoflo safe to use in the MRI suite. Easy to adjust wide elastic split strap provides a secure fit and increased patient comfort. 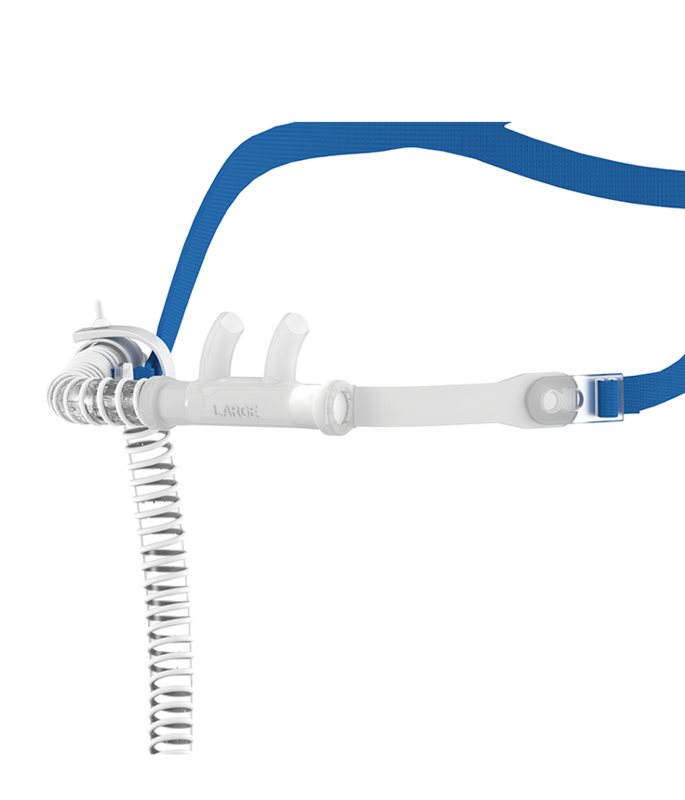 Adjustable Tube Holder reduces drag and works in tandem with the lanyard and crocodile clip to provide extra support. 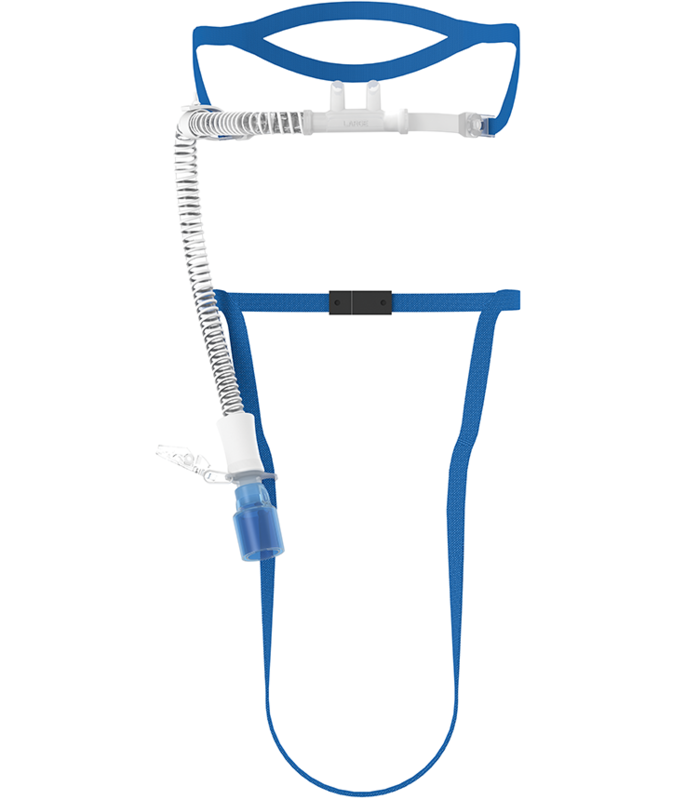 The Veoflo Tracheostomy Interface delivers high oxygen concentrations to spontaneously breathing tracheostomised patients during weaning from controlled ventilation. Available as an individual item or as part of a Veoflo kit. 1 Wettstein RB, Shelledy DC, Peters Jl. 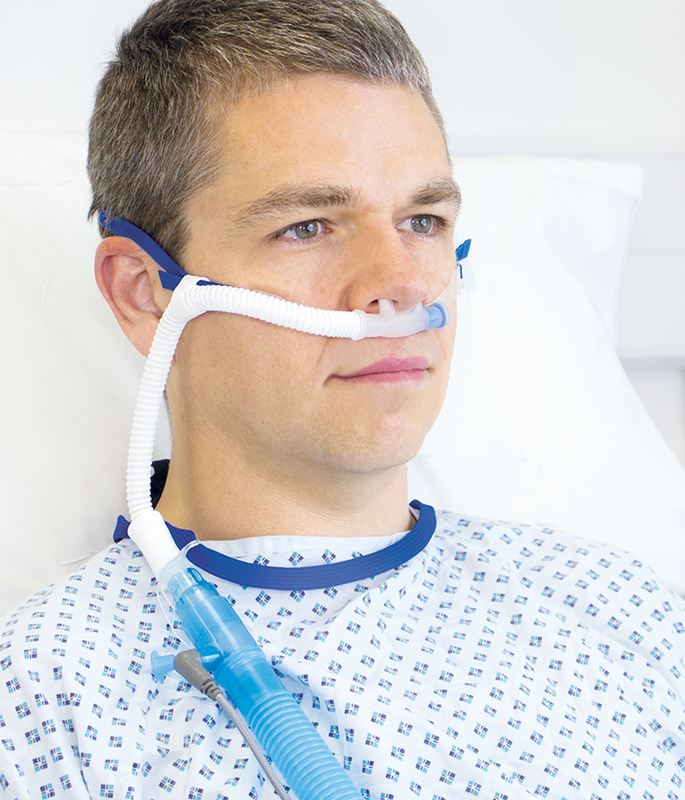 Delivered Oxygen Concentrations using low-flow and high-flow nasal cannulas. Respir Care 2005;50 (5): 604-9. 2 Miller, Kenneth. High Flow Oxygen: Does It Make a Difference? RT Magazine. Sept 2013.